Look around. It’s happening all over the region. See all those tower cranes and all that heavy equipment? All the roads and bridges and tunnels under construction? It’s called a building boom. Those guys and gals in orange vests are skilled construction laborers and there’s never been a greater demand for them. So if you’re up for the challenge, NWLETT has a hard hat with your name on it. And we’ll train you. For free. 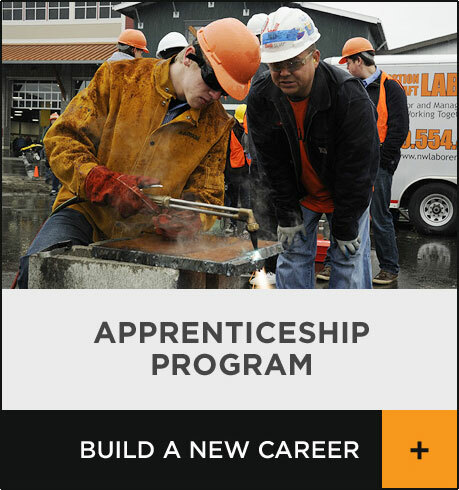 Click on the Apprenticeship Program button below for the details, or scroll down for more cool stuff. Working in construction is crazy dangerous. Only muscle–bound, mouth–breathing knuckle–draggers can make it in construction. Construction is for high-school dummies and dropouts. by the summer of 2018. By 2019 there will be 7,700 new apartments built in Seattle.